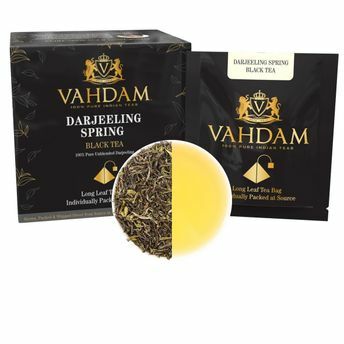 A classic spring black tea from Darjeeling. Blended from multiple single estates teas, this tea offers all the characteristics of a fine first flush in one cup. Mellow, grassy and flowery. A must have for every Darjeeling tea lover. Popularly known as the 'Champagne of Teas'. A flowery & aromatic first flush black tea sourced from high elevation tea plantations in Darjeeling. Discover a touch of vegetal notes, grass & sweet fruits in every sip. To be served without milk. Add sweetener as per taste. Serve hot or as an iced tea.